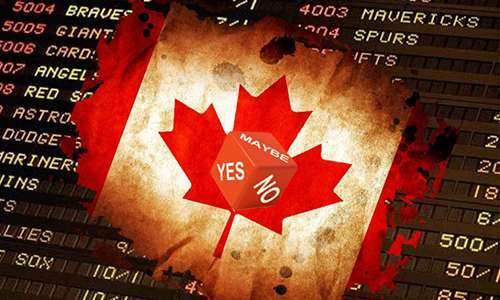 Prospects that Canada might become the first North American nation to fully legalize single-game sports betting were dashed yesterday, when the country’s House of Commons voted down the latest such proposal on a 156-133 count. The formal defeat for the C-221 bill, titled the Safe and Regulated Sports Betting Act, makes it likely that several years will pass until similar legislation is reconsidered, or until, in one alternative scenario that’s also against present odds, wherein Canada would reconsider such legislation if its larger neighbor to the south, the United States, reversed its own similar stance against single-game, nationwide sports betting. That’s the ongoing “PASPA” battle led by the US state of New Jersey.. 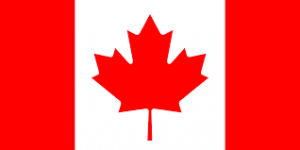 However, in Canada, at least for the short-term, single-game betting is a no-go, leaving selected parlay wagering as the only legal option. The defeat of Bill C-221, which was submitted by New Democratic Party MP Brian Masse back in January, was something of a given. C-221’s overall hopes dimmed back in April when Canada’s ruling Liberal Party came out against the bill, even though Masse’s C-221 measure was little more than a re-submission of the earlier single-game betting bill repeatedly offered by now-retired MP Joe Comartin. The Liberal Party had backed Comartin’s earlier bill, then reversed itself this year when Masse submitted the C-221 measure. Still, a couple of dozen Liberal party members of the House of Commons crossed party lines and voted for C-221, though not enough to stem off the bill’s defeat. Sadly, even if the bill had passed, and gone on to negotiate its way through the rest of Canada’s House of Commons approval process, it might not have mattered. Comartin’s earlier bill languished for years in Canada’s Conservative Party-controlled Senate without ever being called for a vote. Speaking to the CBC, Masse said, “Tonight organized crime is celebrating and popping a cork. And the Americans are laughing straight at us.” That latter may not be quite true, as evidenced by the US’s similar failure to pass such logical legislation in recent years. Masse pounded at the organized-crime angle, restating his assertions about lost tax revenue for Canada’s government from willing punters. Masse and his staff have estimated illegal, organized-crime sports wagering in Canada to be at least $10 billion a year, with another $4 billion or so wagered by Canadians on gray-market international sites. Also worth noting is that the major sports associations in Canada, including the NHL, NBA, MLB, NFL and CFL, all lined up against Masse’s bill, just as they had opposed Comartin’s earlier measure. The sports leagues have maintained their opposition based on claims that legalized sports betting would corrupt the games, despite the fact that many billions are already wagered on the games without any oversight or control. The latter logically infers a greater risk of corruption, leaving the leagues’ ongoing opposition as more of case of stonewalling consumer preference while searching for a way to profit from the wagering activity. Add that big-business opposition to the healthy swath of Puritan, anti-gambling belief that peppers North American society, and it’s easy to understand why Canada and the US both lag decades behind their European counterparts. All that serves to explain the why, even as the what remains as unchanged and illogical as ever. For Masse, he is unable to resubmit the same legislation in the future; C-221 only garnered a full vote due to Masse’s winning of a favorable draw for a soc-called “private member’s” bill at the start of the year, when the current session of Canada’s Parliament began. It’ll be up to another Member of Parliament, perhaps another member of Masse’s New Democratic Party, to take up the sports-betting topic and submit related legislation at a future date.